VIP social event will be from 6pm to 8pm with the General Admission Question and Answer session starting at 8pm and lasting till 11pm. Kyle will take the stage approx. 8pm and discuss his Big League comeback and take some questions and that will be followed by a signing. Autographs will be limited to per ticket holder. Proceeds of silent auction items will go to the Cliff Hagan Boys & Girls Club. $156.50 VIP TICKETS – Doors at 6pm, prime table seating, access to VIP Area during event, the question and answer session, and access to the silent auction. 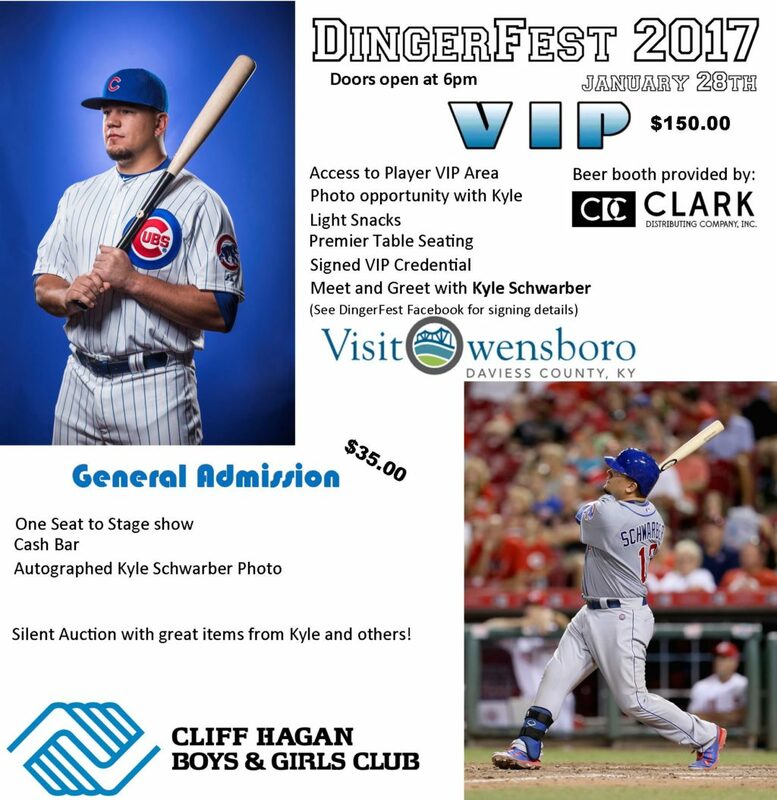 See DingerFest Facebook page for signing details. $38.25 GENERAL ADMISSION TICKETS – Doors at 6pm. Includes the question and answer session and access to the silent auction.